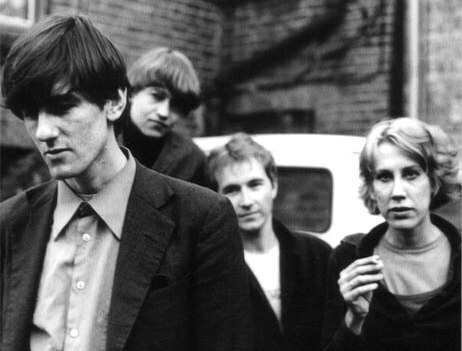 The Go-Betweens’ music, taken in totality, is the story of songwriting talent eventually overcoming initial technical limitations, of a band whose members wanted and thought they deserved wider success working slowly towards a sound that might have brought it to them, only to disband at the moment it might have been within reach. While they’d go on to produce some minor pop masterpieces – several per album on Liberty Belle & the Black Diamond Express, Tallulah and 16 Lovers Lane in the 1980s, and then again on The Friends of Rachel Worth, Bright Yellow Bright Orange and Oceans Apart from 2000 up to singer-guitarist Grant McLennan’s death in 2006 – the Go-Betweens’ early music was a knotty thing indeed, speaking loudly of their punk and post-punk influences as well as their inability to play smooth. Drummer Lindy Morrison explained the song as being spurred by McLennan’s intense homesickness and his pre-occupation with his childhood, which must have seemed a long way away to a young man living thousands and thousands of miles in a bohemian demi-monde in London with characters like Cave and the rest of the Birthday Party providing company and role models. Grant was incredibly homesick for the first couple of years we were in England and he spent those first couple of years thinking about his past. He was obsessed with it. A lot of those songs on Before Hollywood have the imagery of Australia. I think Cattle and Cane is a master song. This is a generous repsonse from Morrison. Not because she’s overrating the song, but because her relationship with McLennan was never easy. Not long after joining the Go-Betweens, she began a relationship with the group’s founder, Robert Forster, McLennan’s best friend. McLennan tended to treat her pretty condescendingly, despite Morrison’s relative maturity (she was seven years older than Forster and McLennan, already 33 in 1983 when Cattle and Cane was released), and the interaction between the two was seldom comfortable. McLennan, for his part, recognised that Morrison did great things with a very tricky song. Cattle and Cane is a metrically complicated song. Morrison explained that she counted it as a bar of 5, then a bar of 2, then a bar of 4. A musicologist might simply say it’s in 11/4 time, but Morrison’s approach acknowledges the strong beats and chord changes that MacLennan plays on guitar, and feels more intuitive and natural to me. She keeps a tight rein on the song, staying off the snare until it’s well underway, giving the impression that the song is speeding up (there probably is also subtle ratcheting up of tempo as the track goes on), simultaneously making the irregular metre feel entirely natural. Her approach is wonderfully appropriate, since the song’s lyrics are presented to us as McLennan’s reveries when returning home on a train to visit his family at their cattle station. We actually feel like we’re on the train with him. Even without the music, even without the words, Morrison’s drum track would evoke movement, a train journey specifically. It’s an incredibly evocative performance, the one for which she’ll always be remembered. *Eastbourne is a seaside town in East Sussex with a large population of retirees. Brighton, 20-odd miles down the coast and a spiritual world away, would seem a far more appropriate venue for a band to make a classic record. My grandparents lived in a town called Seaford, located between Eastbourne and Brighton, but closer to Eastbourne. So while Brighton was only half an hour’s drive away, I’ve been there maybe five or six times at most, while Eastbourne would be more like 20 or 30, which is more than enough. This entry was posted in Music and tagged 16 Lover's Lane, 1960s, 1980s, alternative rock, Australia, Brisbane, Cattle and Cane, drum sounds, drummers, Drums, Eastbourne, Grant McLennan, Liberty Belle & the Black Diamond Express, Lindy Morrison, London, Nick Cave, Oceans Apart, reunions, Robert Forster, Robert Vickers, Tallulah, the Birthday Party, The Friends of Rachel Worth, The Go-Betweens, underrated drum tracks, underrated drummers on November 7, 2015 by rossjpalmer. I find something endlessly adorable about the Go-Betweens. Not particularly gifted as songwriters, certainly not gifted as players or singers, Robert Forster and Grant McLennan succeeded more or less on the strength of their aesthetic. Each album contained 10 small-scale, indie-pop songs, five by each writer, Forster’s declamatory smart-arsery balanced by McLennan’s winsome sincerity, but all determinedly low-key. In such a setting, a little detail can be overwhelming in effect. Forster is usually seen as the artier Go-Be, a sort of Brisbanite David Byrne. Yet Forster was always the wannabe musician. It was McLennan who was a keen literature student and aspiring film-maker, who had to be pressured by Forster into forming a band with him. From the off, Forster had his sound down. He’d get better at the execution, but at the start of the band’s career Forster already knew how best to deploy his limited voice and what kind of songs he could write. McLennan was still learning. He went on to become the band’s craftsman, yet his initial lack of musicality prevented him from becoming the true pop songwriter he often seemed to want to be: no amount of hard work would turn him into Paul McCartney. Even his best tunes get by with only four or five and the same number of chords. Nonetheless at his best (and indeed the same is true for Forster) he could take his very simple building blocks, his Play in a Day chord changes and semi-spoken tunes, and make gold out of them. 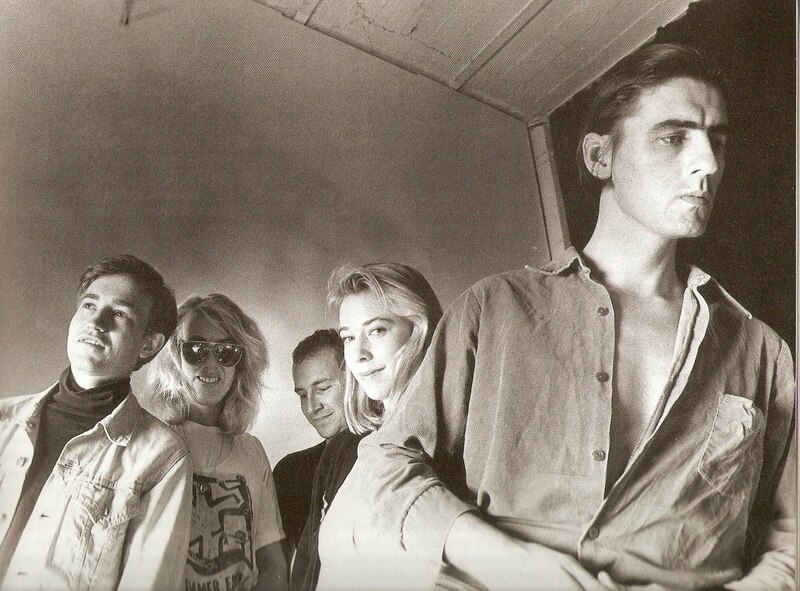 By the time the release of Tallulah launched the Go-Betweens mk II – for which Forster, McLennan, drummer Lindy Morrison and bassist Robert Vickers were joined by Amanda Brown on violin, oboe and guitar – McLennan was straining at the edges of his talent, alternating between lovely pop songs and darkier, moodier pieces, generally succeeding but sometimes falling hard on his face. Tallulah’s Cut it Out is a prime example of a McLennan failure; he seemed to think that perhaps he could play Cameo at their game. He could not. Hope then Strife is a more interesting failure: semi-spoken verses, with flamenco guitar, and choruses largely alternating between two notes, backed by Brown’s violin, linked by a brief but lovely half-time section where McLennan’s hard-fought tunefulness threatens to make itself present (‘Don’t say that you agree/With the price that you pay for your captivity’). I like the details at the start of the second verse, too: “Turned the fan off / and went for a walk / by the lights down on Shield Street”. At his best, McLennan was as good a lyricist as his more celebrated partner, with a knack for accumulating detail quickly and unobtrusively. But Bye Bye Pride is a record, not merely a song, and no appreciation of it as a recording would be complete without acknowledging the contributions of Amanda Brown on oboe and backing vocals. Forster, in the midst of his rock star-as-vampire era, could not have given McLennan the emotionally open, optimistic harmonies the song needed. Sadly for long-time fans, when the band reformed, Brown wasn’t part of the crew (she and McLennan had been lovers and she was hurt that McLennan and Forster has taken the decision to the end the band without warning her first – she went on to a successful career arranging strings for R.E.M., Silverchair and others) but female backing vocals had become such an important part of the band’s sound that they needed to be supplied by someone when the band reformed. And so they were, initially by Sleater-Kinney drummer Janet Weiss (and Corin Tucker on a couple of songs) and latterly by bassist Adele Pickvance. For a band that had seemed as reliant on the chemistry between Forster and his former partner Morrison as that between Forster and McLennan, a band that had been so enhanced by the contributions of Amanda Brown, what a welcome surprise it was that their comeback albums were so strong. With Finding You, Boundary Rider and No Reason to Cry, McLennan left us with some of his finest songs before dying in his sleep of a heart attack in 2006. 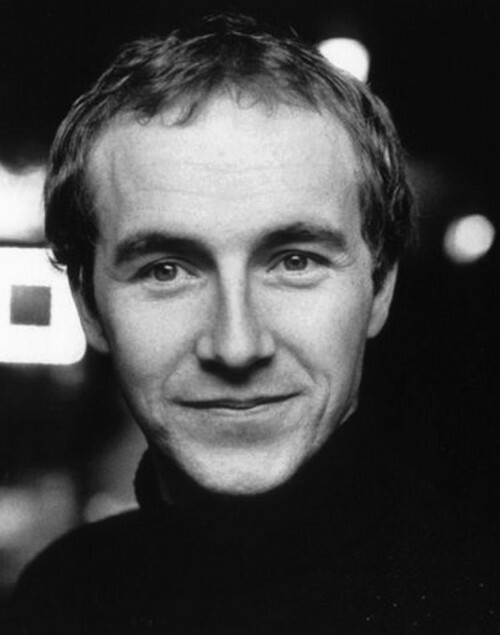 Grant McLennan, with sincere eyebrows, c. 1984? This entry was posted in Music and tagged 16 Lover's Lane, Amanda Brown, Boundary Rider, Brisbane, Bye Bye Pride, Cameo, Corin Tucker, Cut it Out, David Byrne, Finding You, flamenco, Go-Bes, Grant McLennan, I Just Get Caught Out, Janet Weiss, Lindy Morrison, No Reason to Cry, Paul McCartney, R.E.M., Right Here, Robert Forster, Robert Vickers, Silverchair, Sleater-Kinney, Tallulah, The Go-Betweens on September 14, 2013 by rossjpalmer.